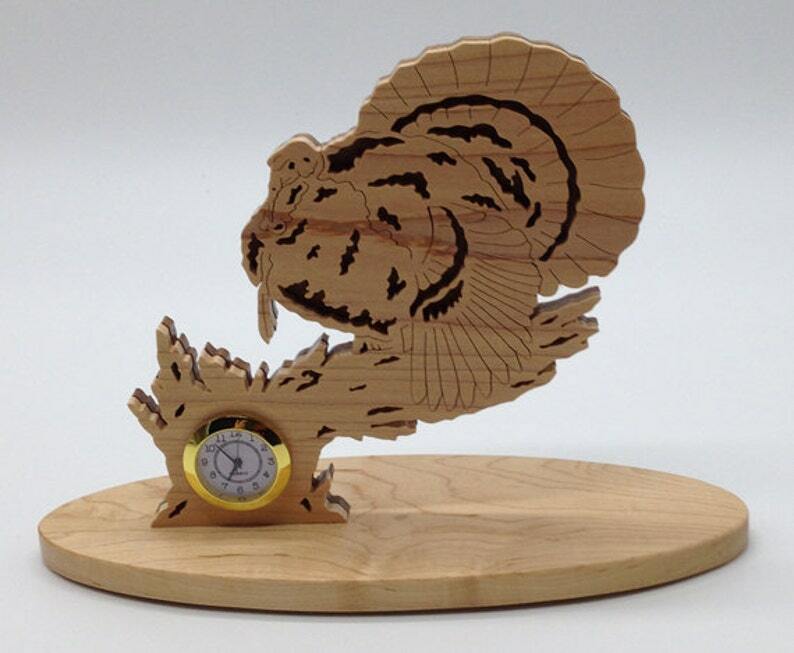 This desk/shelf clock is ideal for the turkey enthusiast. It is a beautifully detailed proud turkey with it tail feathers in full array. The overlay is ¼” maple and the backer ¼” walnut. The clock itself is approximately 7” wide by 7” tall. The ½” thick maple base is 10” wide and 3 ½” deep. The movement is 1 7/8” in diameter.